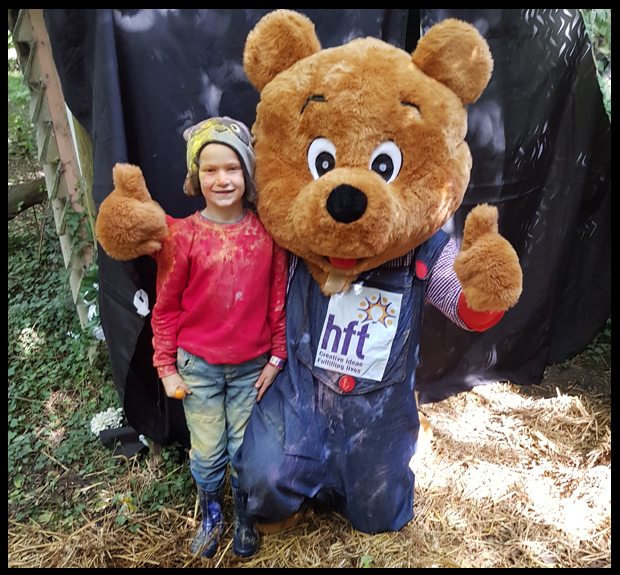 We went on a Bear Hunt with HFT Sussex and it was fantastic! 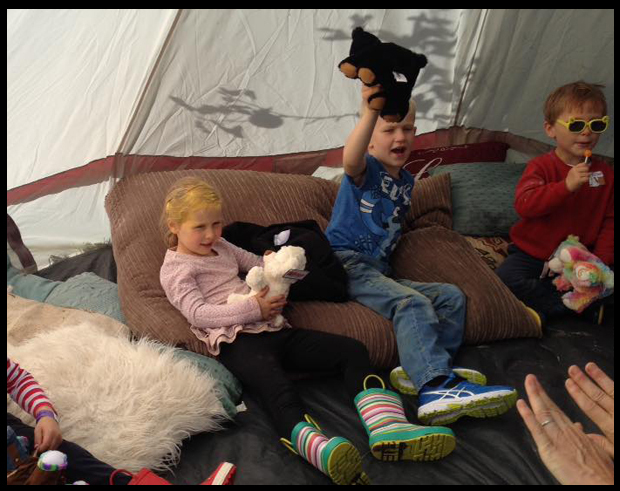 Two years ago we went on a Gruffalo Adventure with the HFT charity; the Sussex division is local to us and I was a little more than excited to hear they were organising a Bear Hunt adventure this September! So much work goes into organising one of these events and it pays off big time, every time! All the children were given their own rucksack to take on the adventure with them, filled with a drink and Bom Bears. 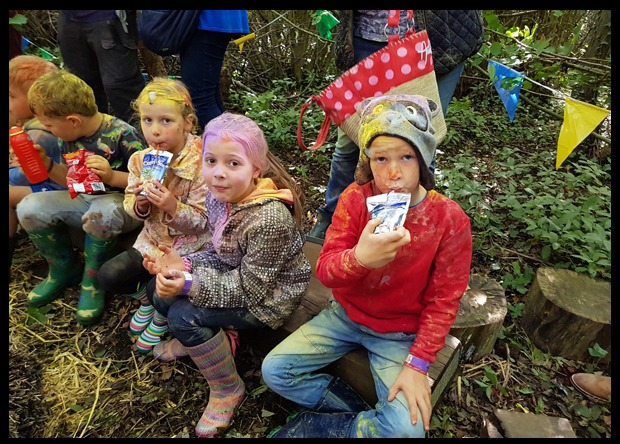 We were told to bring a change of clothing - and we needed it as we went through water, rummaged in a haystack for a treat, played with clay to make bear paw prints and then on to the most fantastic part.... the colour run! 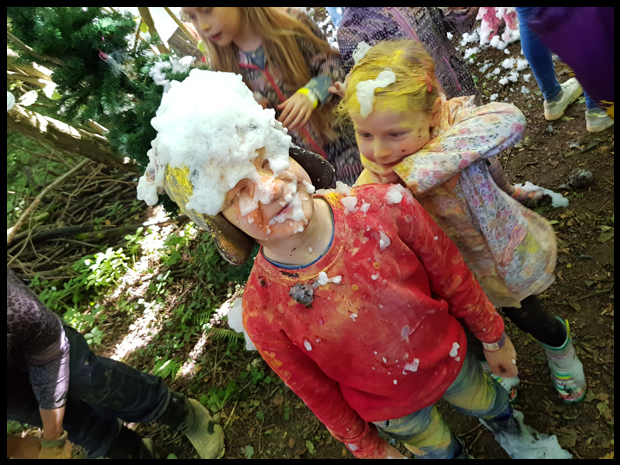 The parents stood either side of the run and as the children ran down.... (3 times I might add) we covered them in coloured powder - (all safe) and the kids LOVED it, as did the adults, as did Paul and the organisers. They did such a fantastic job!. Covered in all the colours of the rainbow we headed on into the foam area where I thought my son was going to stay for the day! After climbing through 'the cave', we moved on to the final arena where the children sat down and had a drink and something to eat and out came the Bear. After getting a cuddle and a photo we headed back out the 'forest' and spent some time in the Sussex Orchards grounds where we built a bear and had a race with them on the bear zip wire, settled in for storytime and visited the fabulous RepTylers who help this charity out a great deal and are so worth a visit! All in all a blooming fantastic amazing day! 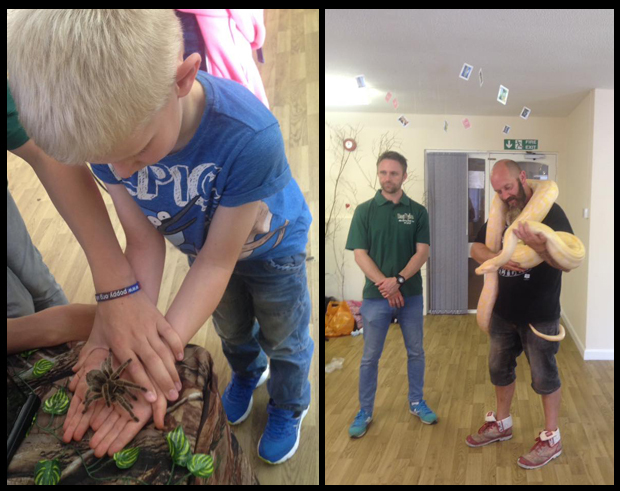 Thank you so much to all the organisers of HFT - you did not disappoint, you guys are amazing and I do hope you raised a lot of money from this event to help support people with learning difficulties.